Across a 42.2 million-square-foot inventory, the Chicagoland medical office market has been relatively flat over the past 18 months, with a year-to-date total net absorption of negative 112,000 square feet following an overall 2016 net absorption of 118,000 square feet. As a result, the vacancy rate has hovered between 12.5% and 13% during this time period. While the previous six years have seen a consistent absorption of space, averaging over 210,000 square feet per year between 2010 and 2015, the recent slowdown in activity may be a circumstance of the current political climate. The Affordable Care Act and the uncertainty of its modification or repeal and replacement under the new administration continued to affect the area's health systems’ decision-making regarding expansion, mergers, cost control, and delivering the most successful health outcomes while creating the most positive patient experience possible. Most health systems across the region have implemented new business and healthcare delivery strategies to allow them to efficiently operate under the Affordable Care Act. Under the previous pay-for-service healthcare model, a hospital system’s main income drivers were from the higher acuity cases served at the main hospital campus. Under the Affordable Care Act’s pay-for-performance model, healthcare systems are realizing that income will have to be driven from the front end of the care continuum (i.e. primary care, internal medicine, pediatrics and women’s health). Heightened demand for modern and more efficient outpatient medical office space has been generating an increase in both ground-up development and retrofitting of selective existing medical office buildings closer to the patient and away from the main hospital campus. Additionally, the initiative of providing more convenient care to patients in a lower cost setting is driving some health systems to look at repurposing retail real estate for outpatient or urgent care clinical uses. In October of 2016, Presence St. Joseph Medical Center opened their $11 million, 30,000-square-foot Senior Health Pavilion and Family Immediate Care Center in Romeoville. The full-service, multi-disciplinary ambulatory center provides specialized services to seniors including urology, orthopedists, and podiatrists in addition to providing access to advanced imaging, lab services, physical therapy and immediate care to local families. 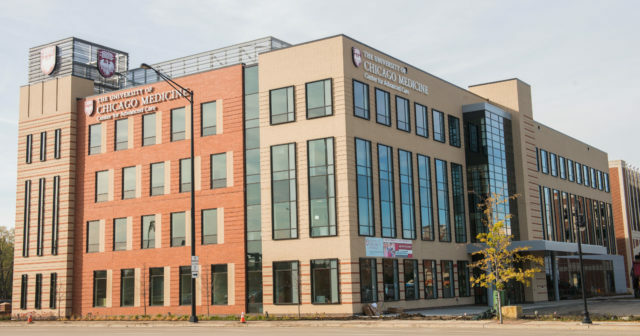 In December of 2016, University of Chicago Medicine opened its $61 million, 108,000-square-foot Center for Advanced Care in Orland Park. The location is University of Chicago Medicine’s largest off-site facility and is the first of several planned outpatient locations that will bring care closer to its patient’s homes. The building includes 80 exam rooms for several specialties including oncology, orthopedics, cardiology, pediatrics, gastroenterology, women’s health, surgical consulting, infusion therapy center and diagnostic imaging. In March, the Rehabilitation Institute of Chicago rebranded itself and opened the new 1.2 million-square-foot Shirley Ryan AbilityLab. The $550 million facility will replace the old Rehabilitation Institute of Chicago building on East Superior Street. The state-of-the-art facility is the first ever “translational” research hospital in which clinicians, scientists, innovators and technologists work together in the same space, surrounding the patients thus allowing them to discover new approaches and applying research and development in real time. Also in March, Rush University Medical Center received demolition permits to begin clearing the site along Harrison Street, just east of its main hospital tower, to build a $500 million, 550,000-square-foot Rush Center for Advanced Health Care outpatient facility. Projected to be complete in 2020, the nine-story tower would consolidate outpatient services from several buildings currently on both sides of the Eisenhower expressway including primary care, specialty physician offices, the Rush Ambulatory SurgiCenter and all outpatient clinical and diagnostic services. This represents the second major project to be built as a part of the system’s plans to upgrade its west side campus. In April, a joint venture between Rush University Medical Center and Midwest Orthopaedics at Rush broke ground on a four-story, 103,000-square-foot, $65 million outpatient medical building along York Road in west suburban Oak Brook. The building is set to open in spring of 2019 and will feature a mix of specialties including orthopedics, primary care, endocrinology, neurology, and otolaryngology. It will also have outpatient surgical suites, 65 exam rooms, physical & occupational therapy, and a full range of imaging services. We have identified 12 Chicagoland medical office building sale transactions, involving buildings greater than 10,000 square feet which occured between July 2016 and June 2017. The sales represent $146.5 million in gross sales volume and over 432 million square feet of space, ranging from $259 to $457 per square foot, with an average price of $339 per square foot . Unlike in previous years where portfolio transactions drove sales volume, there was only one portfolio transaction which reflected a four-building MedProperties Group portfolio which was recapitalized by Harrison Street Real Estate Capital. Note that it is common for owners to be generous in the re-classification of their office buildings to medical office. For purposes of this analysis, we have defined medical office as buildings with 100% medical use, no mixed-use properties were included. During this same time period, we identified 14 re-financings of buildings greater than 10,000 square feet representing $83 million in loan proceeds and over 575,000 square feet of space. The average loan was $144 per square foot, with individual property loans ranging from $82 to $346 per square foot. Of the 14 transactions, 12 were financed by banks. The medical office building investment market is a niche market that has experienced dramatic growth in recent years. Public capital, primarily REITs and equity funds, represent 80% +/- of investor capital. Net lease investors are increasingly active in the smaller single-tenant net lease transactions. Foreign investors have been minor players in this niche market to date as they tend invest in large core assets. While on-campus properties have historically experienced more favorable pricing, i.e. lower cap rates, the spread has narrowed to an estimated 50 to 75 basis points. On-campus cap rates average an estimated 6.25% to 6.5% while off-campus cap rates average an estimated 7.0% to 7.25%. Other pricing variables include tenant credit, lease term, age/functionality of improvements, and tenant mix. Patient experience and satisfaction will play a major role in where patients will choose to receive care. Often factoring into this choice are healthcare facilities that are geographically proximate to where they live and work. The demand for the delivery of healthcare in a lower-cost setting like urgent care and retail clinics will expand as it is the most cost-effective way to treat the population. 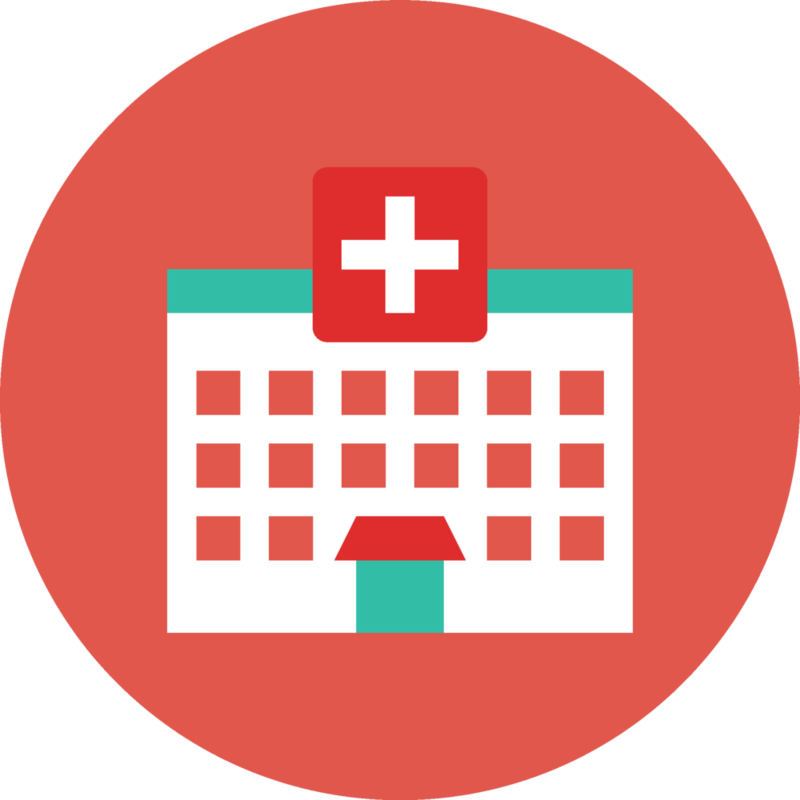 Ultimately healthcare providers are attempting to manage the population’s health that they geographically serve by strategically located ambulatory care sites to more proactively manage chronic illness, preventative care and post-acute care follow up. Managing a patient’s continuum of care through an organized outpatient healthcare model is the best way to keep patients healthy and out of the hospital. As a Vice President with NAI Hiffman, Brian has concentrated his efforts in office and medical office leasing in the Chicagoland area since 1999. NAI Hiffman’s Medical Office Group assists healthcare organizations and the owners of medical office buildings with their real estate needs and has represented clients in the leasing of over 510,000 square feet of medical office transactions with a total transaction value of over $94 million. 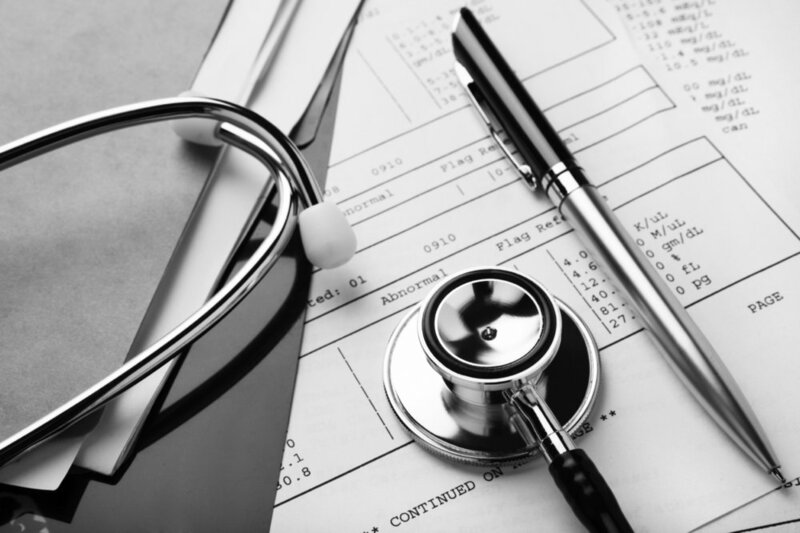 Our medical office specialists use their extensive experience and knowledge of the business of medical care, including a thorough knowledge of the impact of managed care and code requirements, to provide an extraordinary level of service to medical professionals. Contact our team for additional information on the medical office market and inquiries on tenant and/or agency representation.